I have long been a fan of Midori paper. I’ve used it for journaling, writing letters and for doodling and have always enjoyed writing on it. This notebook is no different. Its design is very clean and simple and it handles fountain pen ink very well. You should note, though, that if you’re used to using other notebooks a Midori notebook might seem a little different to you when you first see it. 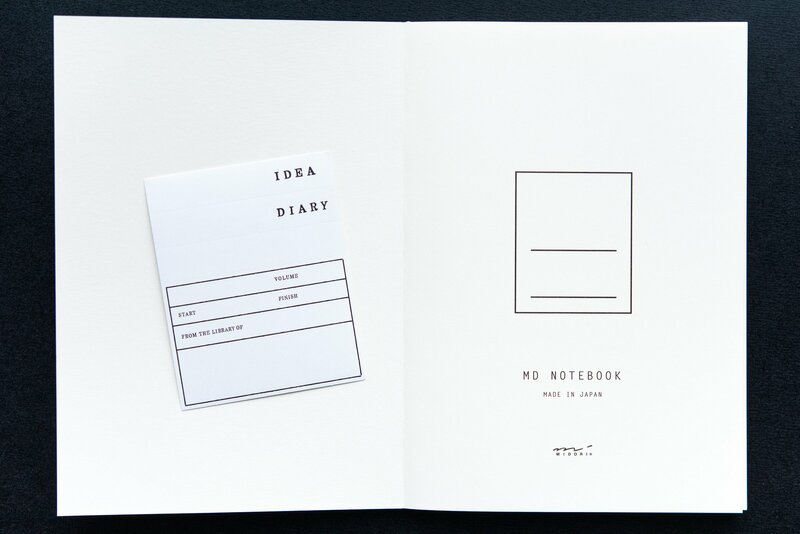 This is how the Midori MD notebook will look when you purchase it. 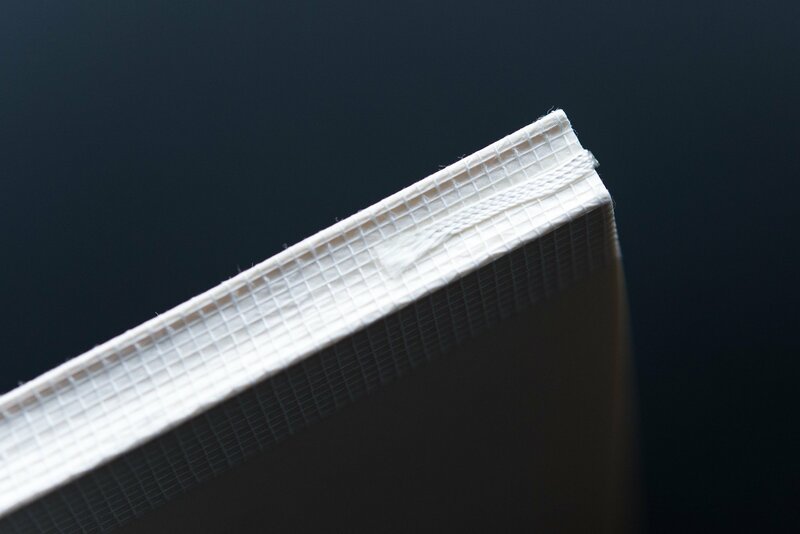 When you first remove the Midori MD notebook from its packaging, the first thing that strikes you is the exposed spine of the notebook. 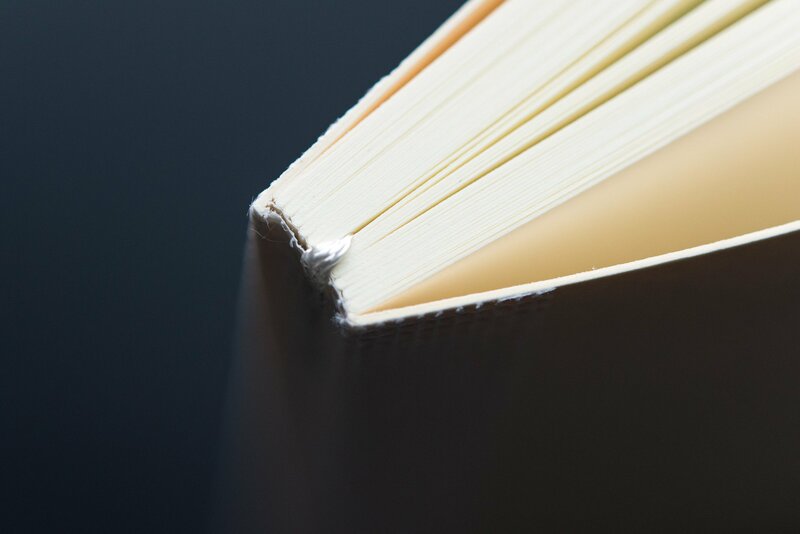 Midori leaves the spine of the notebook exposed, which gives it a minimalist and slightly unfinished look. Once you get used to it you’ll barely notice it, but it can be a little surprising at first. Once you move past that, you’ll notice some of the other things that came with the notebook, specifically the paraffin paper cover and the label stickers. 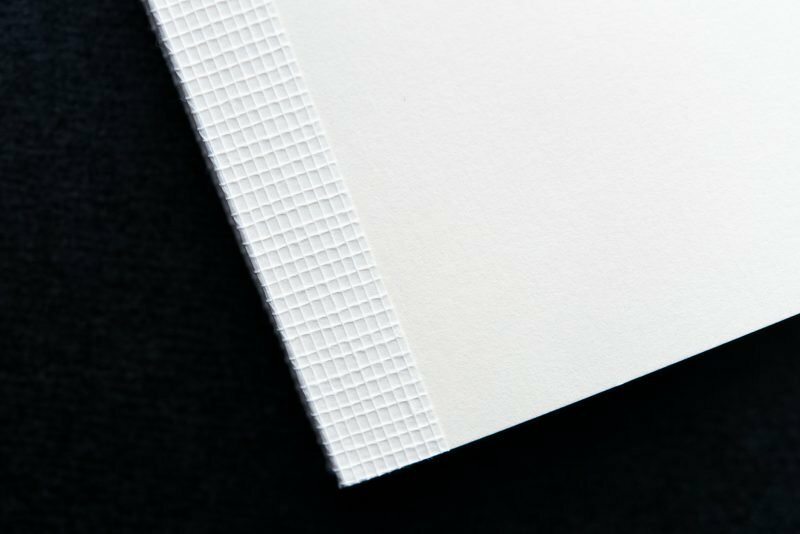 The notebook has a very clean feel with its all-white design. The cover is clean and simple. The spine of this notebook might take a bit of getting used to. 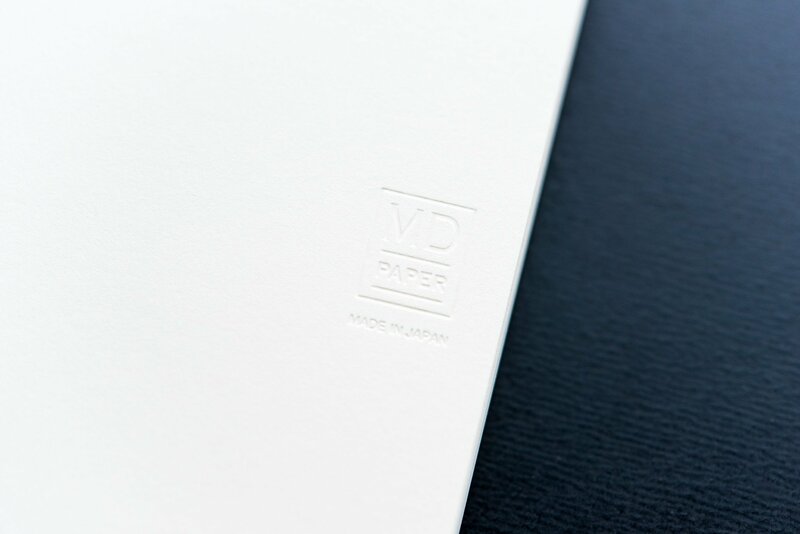 The Midori MD logo is the only embellishment added to the cover. Here you can see where the page ribbon was added to the notebook. Here is some additional information found on the paper notebook wrapper. While a Midori MD notebook might look simple, it is full of features. 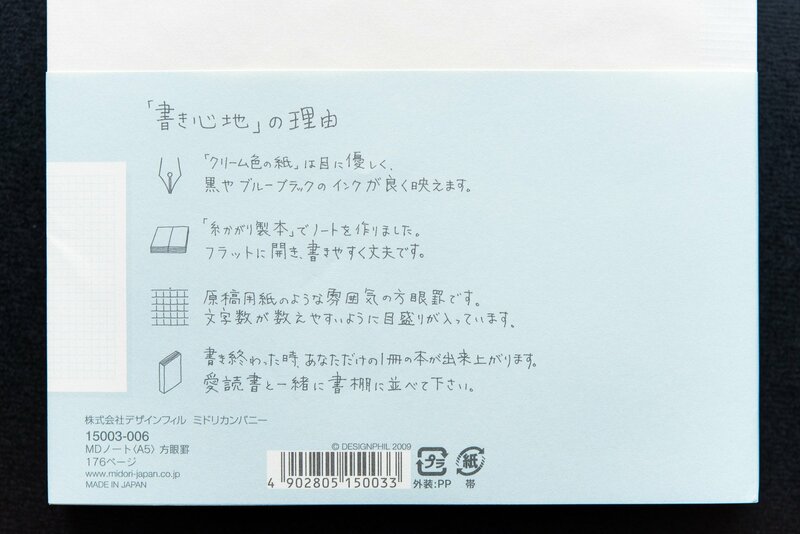 Whereas many notebooks start with the first page as soon as you open the cover, the Midori MD has a cover page where you can write your contact info, notebook title or anything else that you’d like. You can also use the included sticker if you prefer instead of writing directly on the cover page. The cover page allows you to add some personal information. 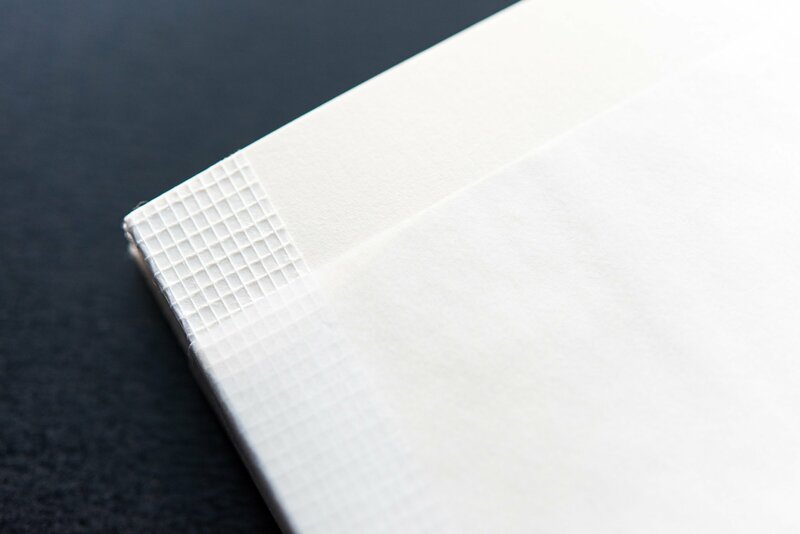 Each notebook has a stitch binding which allows it to lay flat while in use. In my experience, this actually works and the notebook will immediately lay flat with little to no “encouragement”. This is partly due to the fact that there isn’t really a cover and also due to the higher number of small signatures. 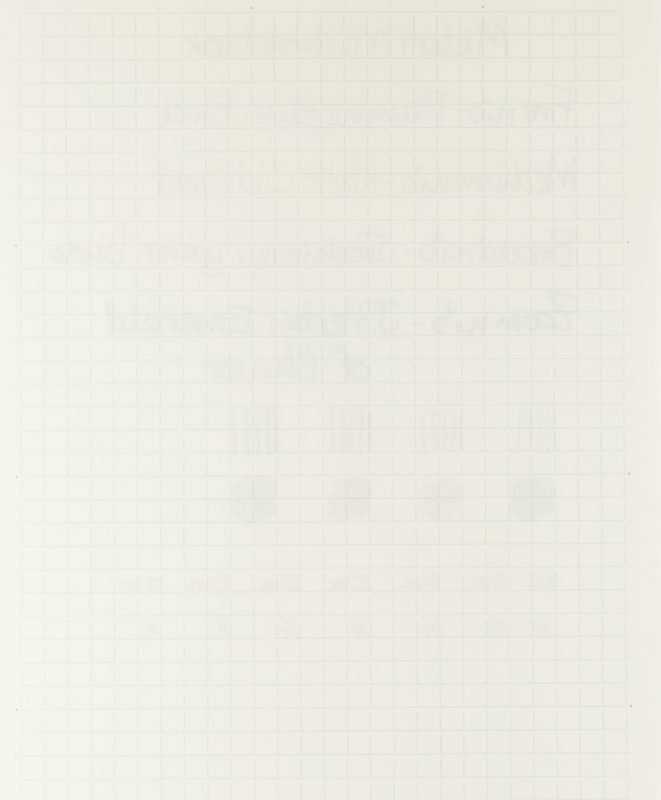 It also has a single ribbon page marker, which is helpful for keeping track of your progress in the notebook. I mentioned that the notebook comes with a thin paraffin cover. You can choose to keep this on the notebook or remove it. Because the cover is an ivory-colored card stock, it will probably show dirt and wear more than other notebooks, so having an included option for cover protection is a nice feature. Since the cover is basically a blank slate, you might also choose to decorate it with drawings or stickers. 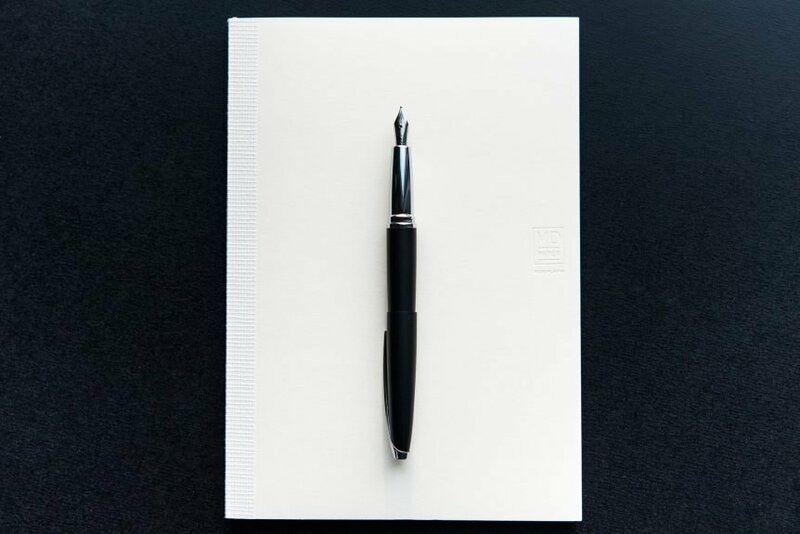 Many small signatures allow the notebook to easily lay flat. The page marker ribbon is thin and fine. The paraffin cover adds a bit of protection to the notebook. Writing on this paper is a wonderful experience. 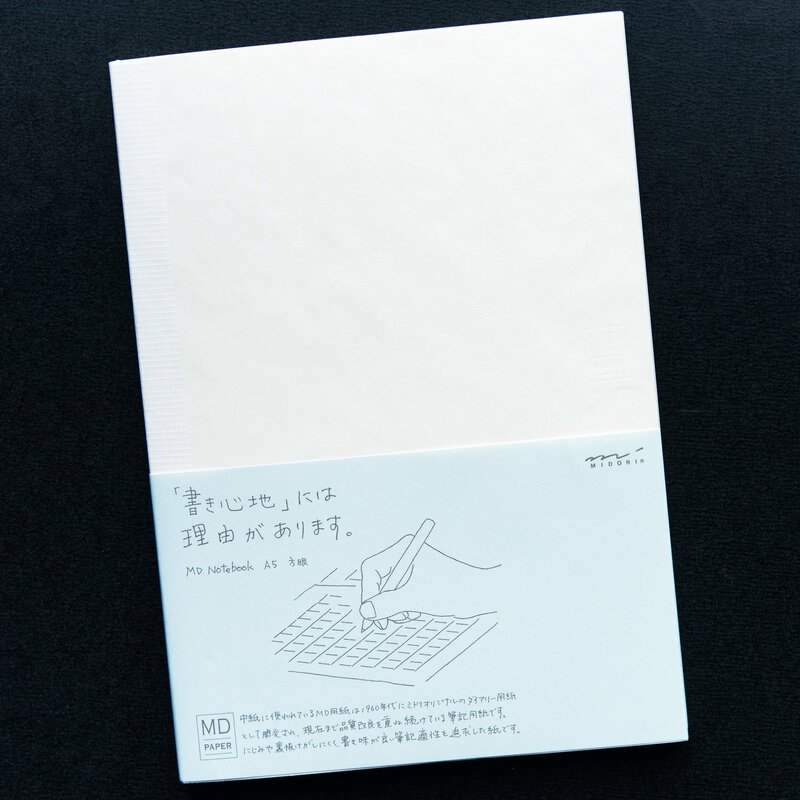 As Midori describes it, their paper “has the perfect balance between smoothness and a little resistance, ensuring comfort and making writing a pleasure.” For anyone who enjoys a little feedback while they write, this paper may very well become a favorite. 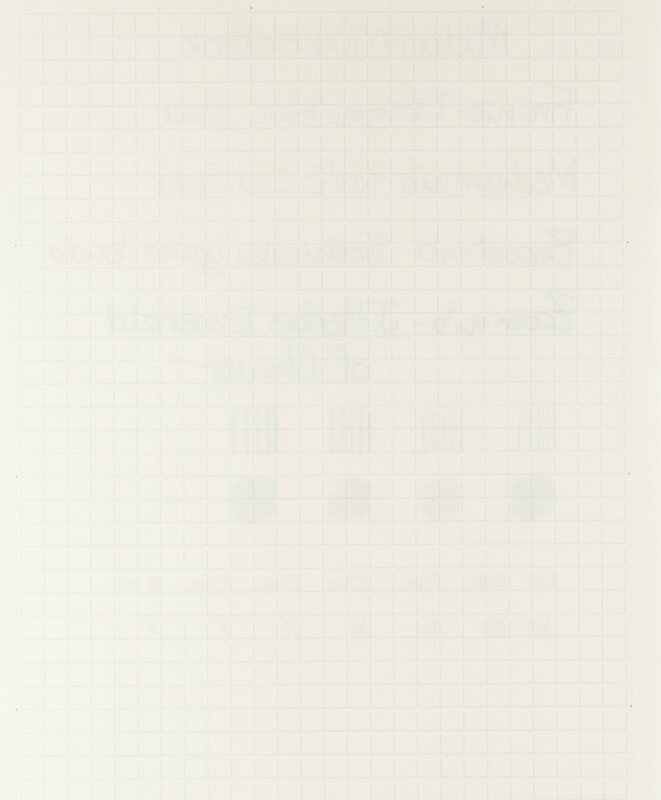 The grid pattern is printed on this paper in a light blue-green color. It doesn’t really interfere with writing or look intrusive, mainly because of the open box design (it is not a true grid, as the vertical lines don’t connect with each horizontal line above). 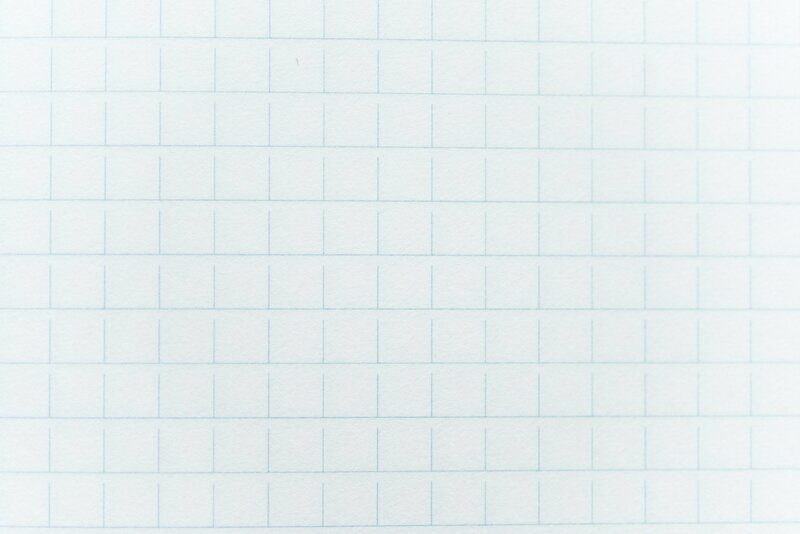 You can see the grid pattern used in the Midori MD notebook. As for feathering or bleeding, this paper is excellent and I haven’t experienced any of either one so far. While it has a medium amount of ghosting, writing on both sides of a page should not be a problem for most people. Midori MD Paper test – front: This paper has some shading and relatively fast dry times. 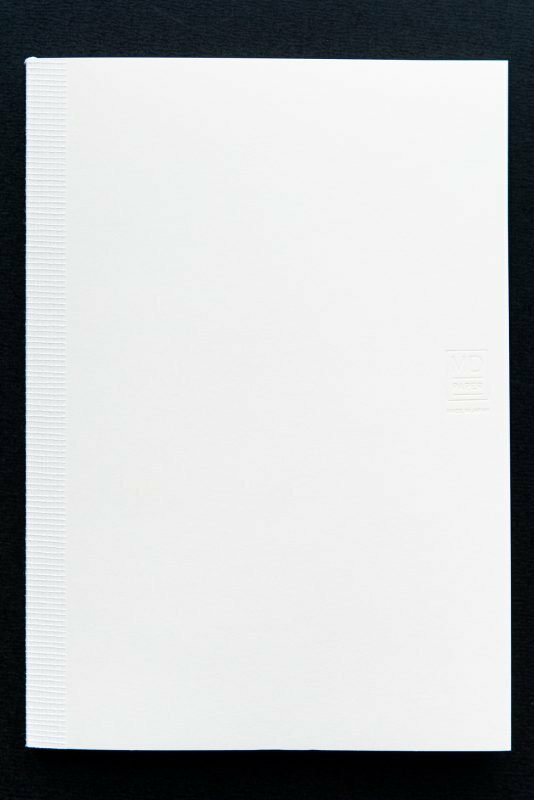 Midori MD Paper Test – Back: While ghosting is medium, most people would be able to use the back of a sheet. This paper also shows a good amount of shading and sheen, which is very surprising for how much quicker inks dry on it compared to other papers with similar amounts of sheen. 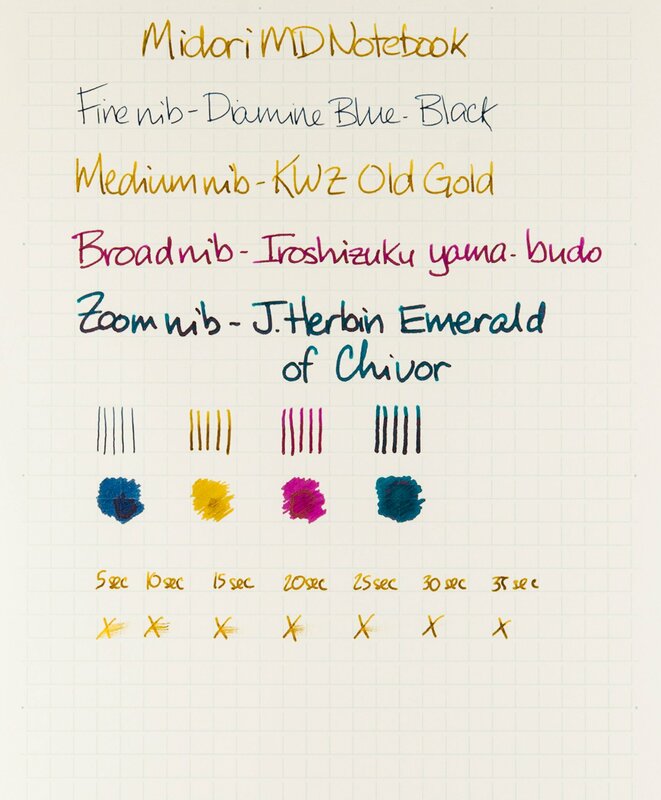 All of the different inks I have used with it look very good. The cream color of the paper is light enough that it does not drastically change the appearance of the ink. Midori MD notebooks are very fountain pen friendly and are not very difficult to find. While they don’t show as much sheen as Tomoe River paper, they do show as much as many other high-sheen paper options. Midori MD notebooks are probably one of the most well-rounded options available today thanks to their features, great ink-handling capabilities and decent dry times. Regardless of your needs, you’ll have a hard time finding a better notebook than a Midori MD. 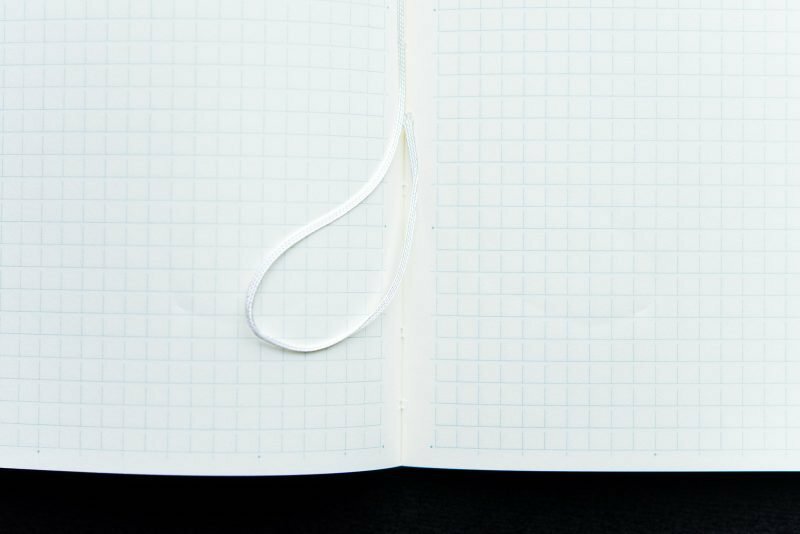 The Midori MD is my favorite notebook right now for the very reasons you mention, John! I especially love how it shows sheen. Another nice feature is that it seems to resist hand oils much better than some others, like the Life notebooks–that’s the main reason I don’t like using Life notebooks. Keep up the great work! You are absolutely correct about the hand oils on Midori MD versus Life. As much as I like Life paper, I am always worried to use it for fear of feathering. Thanks so much for reading!